Permission to start or change something. Nobody will give you permission to do that. You might upset the status quo in their world. 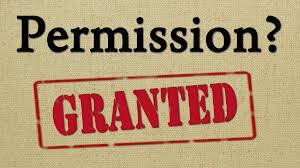 But you can give yourself permission. This entry was tagged life, permission, status quo. Bookmark the permalink.